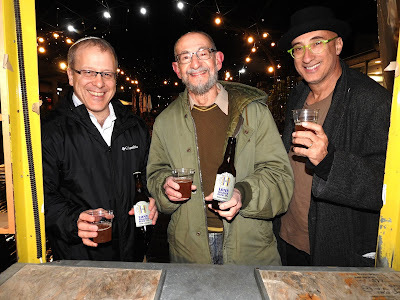 Quietly and gently, the 2019 Israeli beer festival season is opening as we write. I'll try to keep you informed as I hear of them -- reserving my right to "pass over" those which seem to be more self-promotional than real beer festivals. The first in sight claims to be Israel's first Social Beer Festival, with all proceeds being contributed to the Latet organization to provide meals for poor families over the Passover holiday. It's taking place on Kibbutz Revadim, about midway between Ashdod and Jerusalem, on Friday, April 12, between 11:00 a.m. and 3:00 p.m. Some 20 home-brewers will be selling their beers for 10 shekels each. There will also be food stands and live music. Entrance is free. Some of them I know; some are new to me. 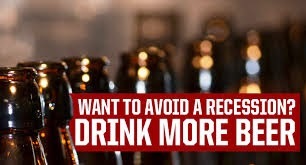 But I'm sure you'll have a good time tasting their beers. And the money you spend is going to a good cause. Or call 050-685-9662 (Sagiv) or 054-830-0037 (Shani). 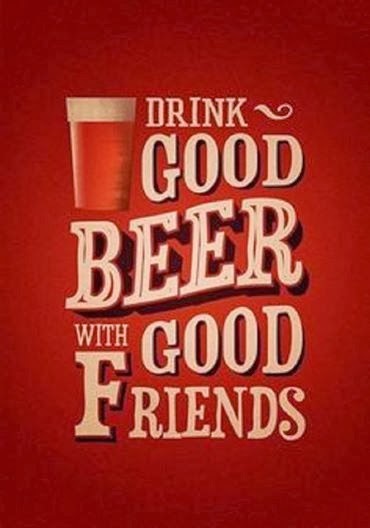 Last week was an opportune time to have beer with friends and to meet up with successful barkeepers. First I went with fellow Beer Panel taster Bob Faber to the Bardak pub near the Machane Yehuda market for some vegan pizza and Jem's Amber Ale. Bardak partner Dor served us, and Bob took this photo: Dor just does it and I just brews it. Then I went with Israel Brews and Views photographer Mike Horton to Beerateinu for the Jerusalem launching of six Mikkeller beers from Belgium. We tasted all six in stylish 200 milliliter glasses. 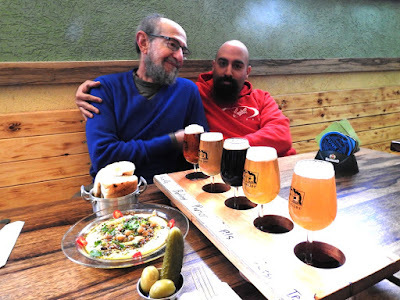 Fine beers, but four of them -- the two IPAs, the Pale Ale and the Lager -- are already well represented here by Israeli craft brews which are different in degree but not in kind. However, two were really different, at least in the Israeli context: A Berliner Weisse, a sour wheat beer in this case made with passion fruit, and a Chipotle Porter, slightly smoky and spicy from the chipotle peppers. 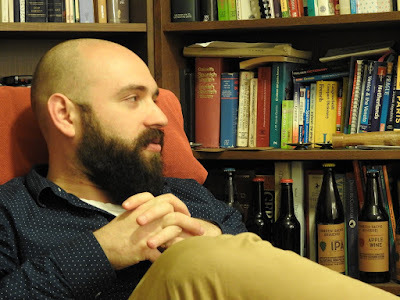 Of course, Mike had his camera handy and caught Beerateinu partner Shmuel Naky and the old blogger reflecting light from the top of their heads while contemplating the Mikkeller beers, some spicy hummus, and an artistically arranged pickle and olives. 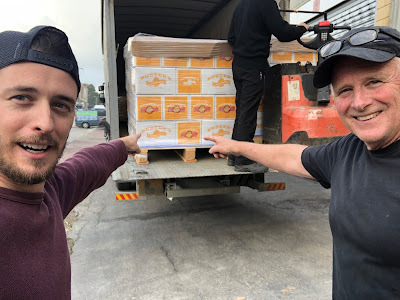 The Buster's Beverage Company in the Noham (Sorek) Industrial Area, near Beit Shemesh, has exported 17,000 bottles of Kosher-for-Passover hard lemonade to stores in New York and New Jersey. Denny Neilson, the owner and brewmaster of Buster's, couldn't contain his delight and enthusiasm with the deal. "We are so happy that we were able to do this. For us, it's not just exporting our products to the U.S. It's building our connection with the Jewish community there; with people who have a love interest with Israel." 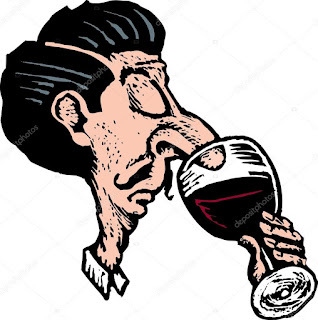 Neilson and his family immigrated to Israel from California via Tennessee around 16 years ago, and shortly afterwards he began to make beer and wine, and teach home-brewing and wine-making at his home in Mevasserat Zion. Today, he runs Buster's with his son Matt, who is responsible for sales and marketing. "Tourists often asked us if we export," continues Neilson. "Although we've been thinking about if for a long time, we have not solicited exporters. I've always believed that we would start when the right person walked through our doors." Well, that happened about six months ago. 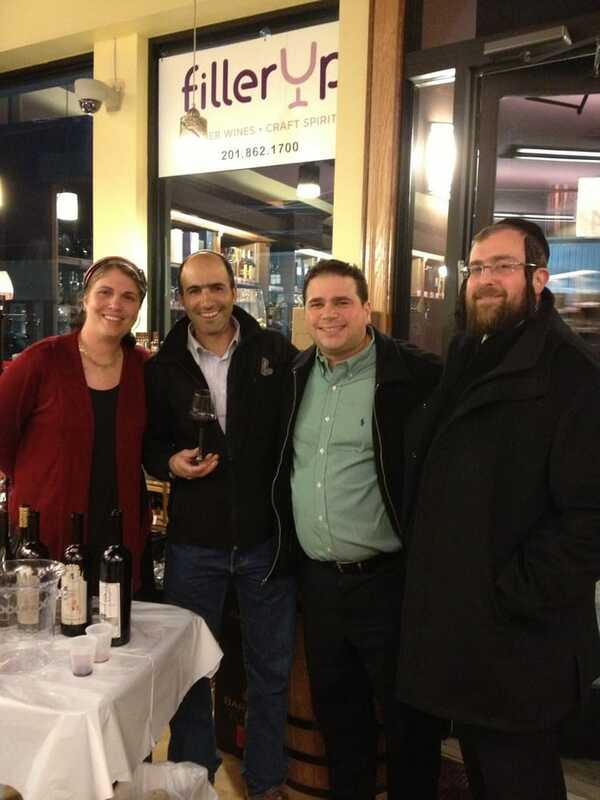 Some ultra-Orthodox visitors arrived at the brewery whose import agency, Red Garden, distributed to bottle shops in Brooklyn and Teaneck, NJ – and to stores in five other states. Denny Neilson of the Buster's Beverage Co.
"They loved our three varieties of apple cider and our two hard lemonades," Neilson proudly states. "And they were even more excited to hear that all of those drinks could be certified kosher-for-Passover." Even though Buster's is under the kosher supervision of two Israeli rabbinical authorities, the visitors wanted to examine the facilities for themselves before deciding to purchase any of the beverages. "This led to a return visit with five rabbis from America," Neilson continues. "They checked out every inch of our brewery and asked the right questions. 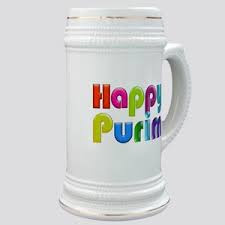 In the end, they agreed to accept our ciders and lemonades as kosher-for-Passover, and they placed a large order to be shipped to their stores in America." Neilson explained to me that the window for producing the kosher-for-Passover drinks is very narrow. All traces of the beer that is also brewed in the building have to be cleaned out before work can begin on the Passover products. "We have a little over two months to complete all of our Passover production," Neilson says. Twenty-five-thousand bottles were packed and sent to America in two shipments. Neilson, his son Matt and the entire crew worked day and night to get them ready. The first shipment had about 8,000 bottles of all the ciders and lemonades not kosher-for-Passover, for sale before the holiday. The second shipment sailed about a month-and-a-half before Passover, and contained 17,000 bottles of the kosher-for-Passover lemonades. Even though the production for export took up a lot of time, Buster's is not ignoring the local market by any means. "We have taken steps this year," Neilson adds, "to ensure that there are enough bottles of cider and lemonade for everyone in Israel who wants to enjoy these drinks on Passover." Dry Apple Cider – 6.7% alcohol; dry and tart, English-style cider. Sweet Apple Cider – 4.8 %; no added sugar. Spiced Apple Cider – 4.8%; with honey, cinnamon and cloves. Classic Lemonade – 5%; made with sour, fresh lemons. Pink Lemonade – 5%; with cranberries. "This deal opened up my eyes to how important export is," claims Neilson. "It's a tangible connection between Israel and Jews in the Diaspora. We're very happy to bring a little bit of Passover 'cheer' to our brothers and sisters in America." 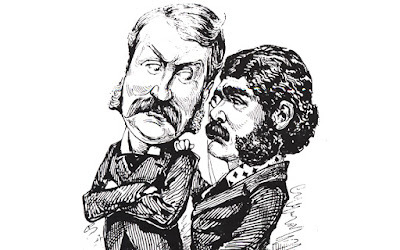 I first met Louis Sachs when I went to hear my wife's choir perform in a Gilbert & Sullivan sing-along in Jerusalem. The operetta was Trial by Jury, to be exact, and Louis was the organizer, narrator and conductor. His stage presence was a little wacky, a little witty. There was no doubting his love for the D'oyly Carte duo. with a trio of beautiful beverages. But the thing that most impressed me was the hot and spiced apple wine being served to the guests as they arrived. The label on the bottle said, "Hinden-Sachs Brauerei: Hand crafted in Jerusalem's German Colony." Despite the Teutonic-sounding name and location, there is nothing remotely German about Sachs or his wife Simi Hinden, and the German Colony, which was founded by German settlers in the 1870s and whose descendants were deported by the British during World War II, retains only its name. No, it was the contents of the bottle that had me from the first sip. Like a warm, liquid apple pie -- full of sweet and juicy real apple goodness, spiced with cinnamon, cloves, ginger and allspice. The taste was akin to apple liqueur, and alcoholic strength was 10%. Take me to your maker, I said to the glass -- and to a few other people who could really give me an answer. When Louis was pointed out to me, I went and introduced myself. He told me he makes not only apple wine and cider, but also brews beer. I guess I would have guessed. After we enjoyed the sing-along, he invited me to visit him and Simi, to hear his story and taste his beverages. And so I did. Louis started brewing in Chicago at age 16, when his father gave him a home-brewing kit for his birthday. While he was a student at Simpson College in Iowa, Louis started making apple cider. A nearby apple orchard owner would give apples to anyone who was making apple cider -- if they gave him a share of the finished product. 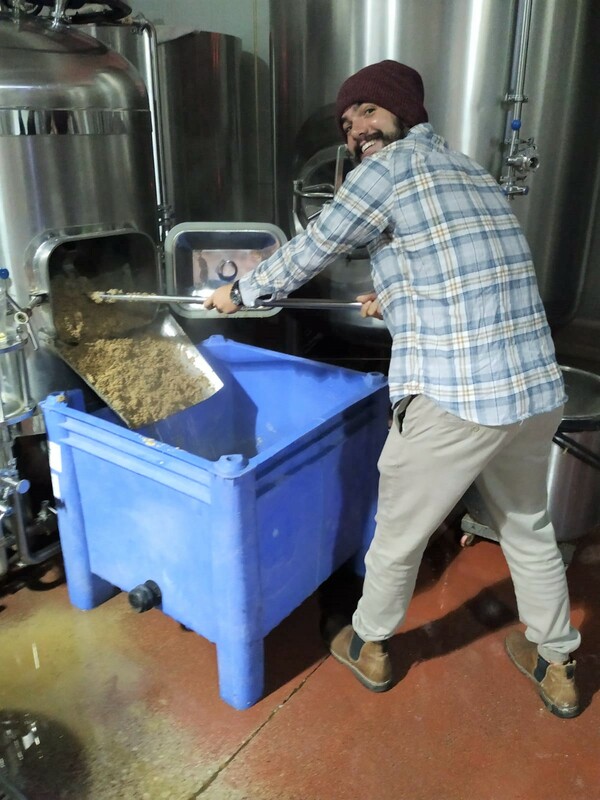 When Louis came to Israel five years ago, he continued to refine his brewing and fermentation skills. Today, he uses Champagne yeast in his apple cider, which gives it a sparkling, dry taste. It's as pale as Champagne as well, with the apples giving up most of their tastes and sugars. 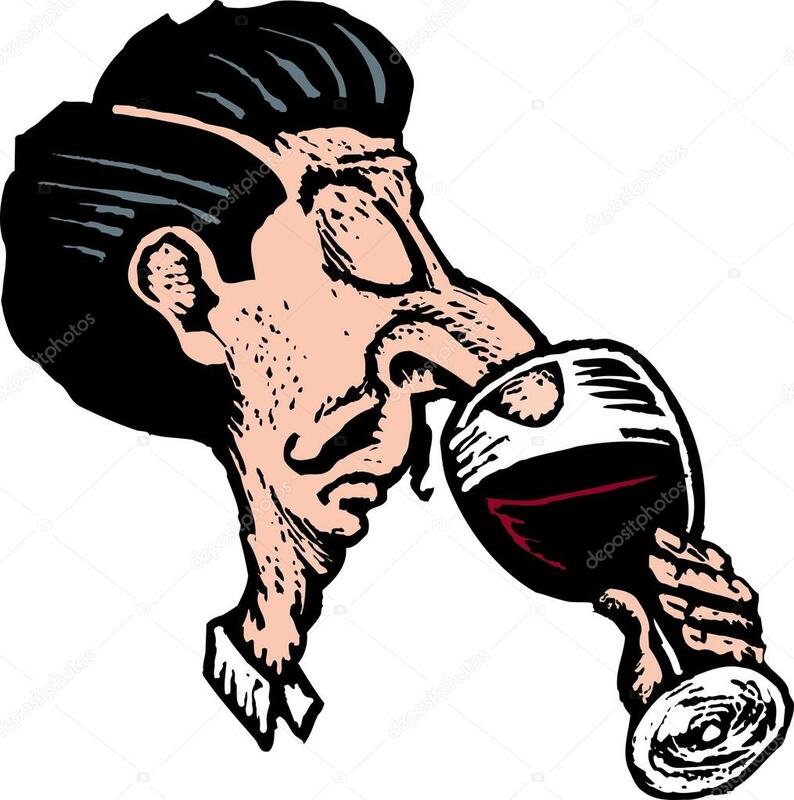 Alcoholic strength is 7%. Louis gives special attention to his IPA. "I love hops," he admits. "I've never had a beer too hoppy for me." As with many IPA brewers, Louis uses a huge amount of hops to make his IPAs, and he's found an interesting way to keep his costs down. "Every year there seems to be a new 'hot' variety of hops that all home-brewers are using. However, the suppliers always have a quantity of 'last year's' hops, and they are willing to sell me these at a discount." For the IPA that I tasted, Louis uses Galaxy, Centennial and Huell Melon hops, known for adding citrus and fruity flavors and aromas. Louis's IPA is a mid-amber color with mild carbonation. The aroma brings some hop esters, but also a surprising bready malt. The taste is very bitter -- attesting to the quantity of hops that Louis uses. Apple and citrus are the flavors we detected -- leaving my drinking partner Moshe to remark that this IPA shared some characteristics with the dry cider. We both felt that the bitterness was well balanced by the malt. Alcohol by volume is 7%. 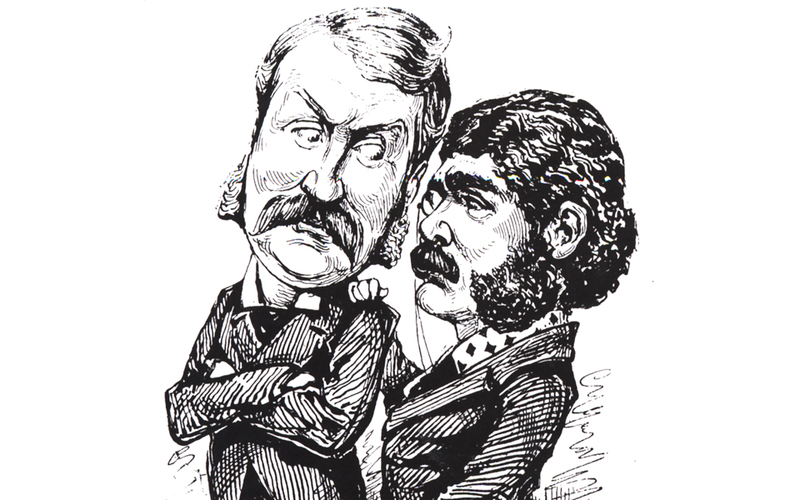 Louis developed his other great passion -- Gilbert & Sullivan -- also as a teenager. He sang opera and operetta in high school in Des Moines, Iowa, and later worked as a music teacher in Chicago. "The city had two G&S companies," Louis says, "so there were always shows for me to attend." In Jerusalem, he founded the sing-along group, which gives concerts once a year. "Anyone can learn to sing Gilbert and Sullivan," Louis adds. "The cast doesn't do more than one or two rehearsals, and we hand out the lyrics so the audience has no problem joining in. "We've done Pirates of Penzance, H.M.S. Pinafore, Patience, and now Trial by Jury -- and next year we plan to do The Mikado." If Louis welcomes the audience once again with his apple wine and beer (and, of course, if my wife's choir is on stage), I may just show up. 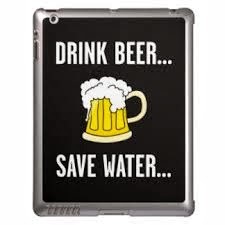 The Lone Soldiers' Home in Beit Shemesh may soon be kept afloat on a sea of beer. Gary Swickley, a veteran home-brewer who is on the board of the Lone Soldiers' Home, came up with the idea to raise funds by brewing and selling a specially branded beer inspired by the soldiers themselves. "The 12 soldiers who live in our home really enjoyed my beer," says Swickley. 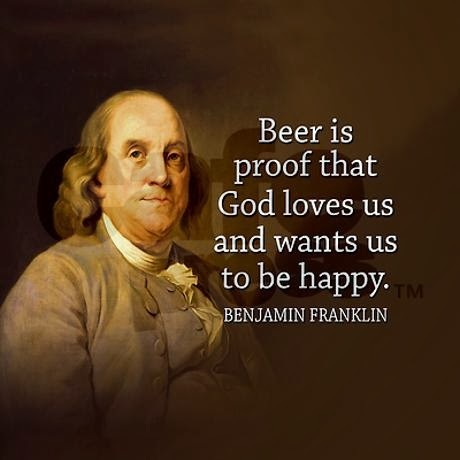 "So I thought, why not brew our own beer, sell it, and use the profits to provide the soldiers with more comfort and better leisure time activities." According to the Israel Defense Forces, a lone soldier is one whose parent or parents are living abroad. The soldiers may have made aliyah on their own, or their parents emigrated abroad, or their parents were sent abroad to represent Israel for more than half a year. helping out with the brewing. 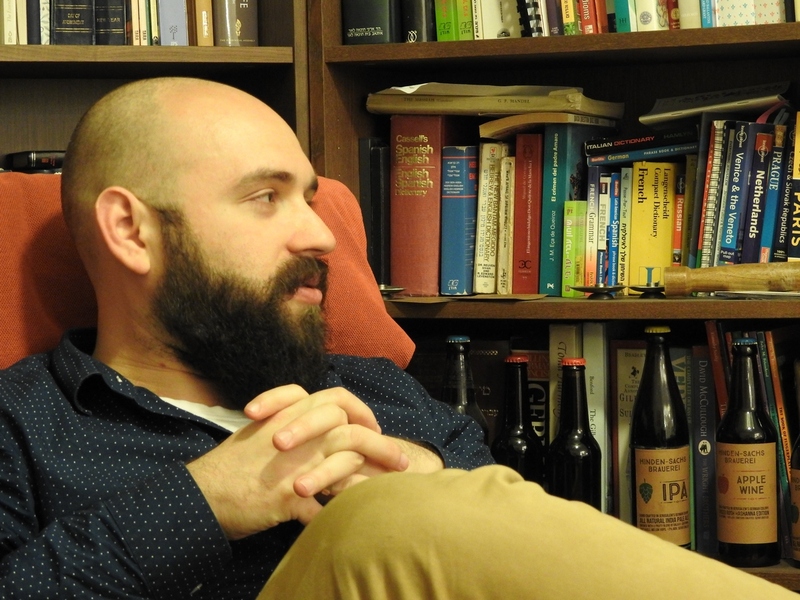 "In the case of Beit Shemesh, our boys have all come on aliyah from English-speaking countries," explains Stu Schrader, another member of the board who assists Swickley on the beer project. "The home is Shabbat observant and maintains a kosher kitchen, but the soldiers come from a wide range of religious backgrounds. The boys eat their Shabbat meals together or are invited to the homes of members of our community." The soldiers were enthusiastic about the beer project, but facilities had to be found for brewing the commercial quantities they needed. 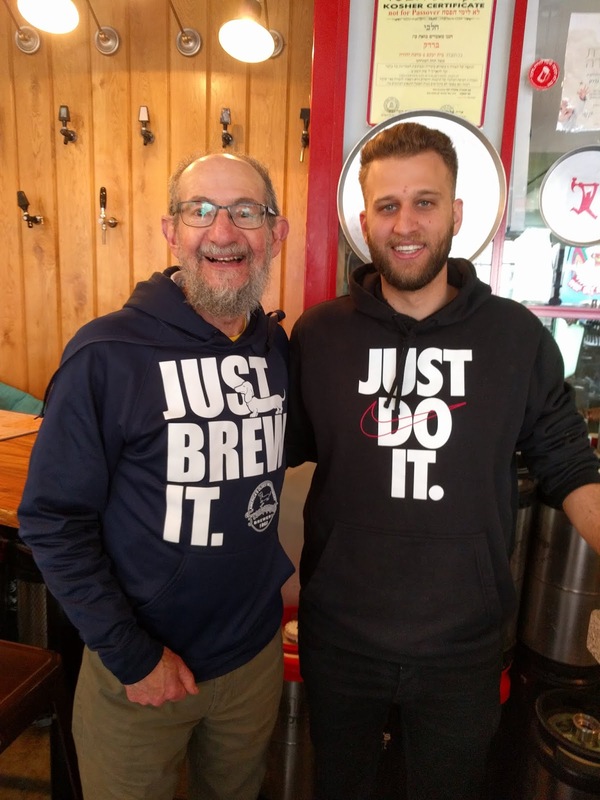 Swickley approached his beer guru Denny Neilson, whose Buster's Beverage Company makes beer, cider and hard lemonade in the nearby Moshav Nocham. "Denny and his son Matt thought it was a great idea and were delighted to help us," says Swickley. "They invited all of our soldiers to an evening at the brewery, where they received a hands-on introduction to brewing." They decided on a beer which is a lighter version of the very popular India Pale Ale (IPA) style. "We call it Israel Pale Ale," laughs Swickley. "It's less hoppy than a regular IPA, with a mildly citrus taste and a smooth body. We used classic IPA hops – Cascade, Centennial and Columbus – but in smaller quantities. 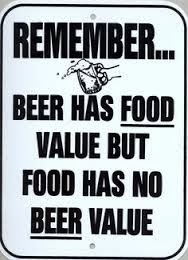 The alcohol by volume is 5-5½%." 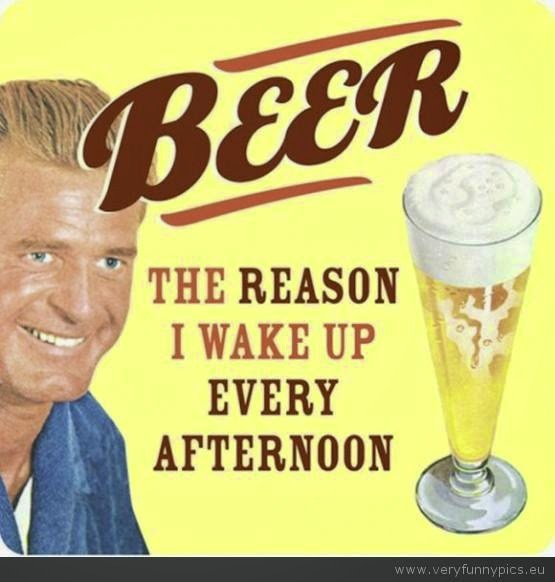 After I tried the beer, I can attest to this description. It pours out a hazy amber color with a thin white head. The aroma is rather weak, with hints of citrus and malt. You get a kick of bitterness with the first sip, leading to some fruity flavors – grapefruit and mango. The finish is semi-bitter and short. It certainly does not have the powerful hop aromas and tastes that we've come to expect from modern IPAs. 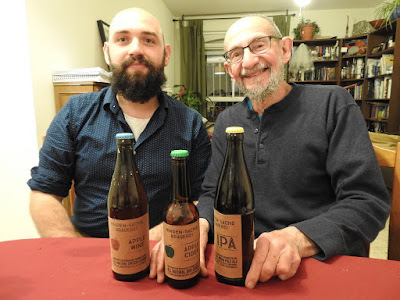 On the other hand, it will be appreciated by Israelis who are familiar only with our mass-brewed beers, and would like to try something different. The beer is now being sold to synagogues and individuals in Beit Shemesh and all over Israel. 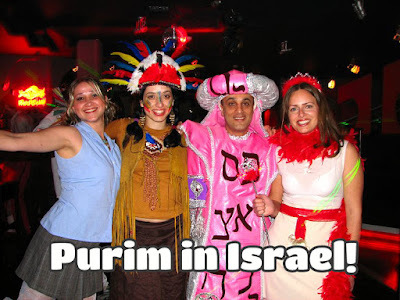 The marketing campaign also suggests that the bottles can be used in mishloach manot, the food parcels which people send to their friends and neighbors during the upcoming Purim holiday. "The response has been phenomenal," enthuses Swickley. "We sold hundreds of bottles even before we began to advertise in the community. Synagogues are putting the beer along with a brochure that explains our project in the mishloach manot that they give out to their members. Individual beer lovers and supporters of the IDF are also buying bottles." Bottles of the beer cost NIS 20 each ("This is a little above the standard market price," explains Swickley, "but people know that the profits go to a good cause. "), and six-packs are NIS 100. 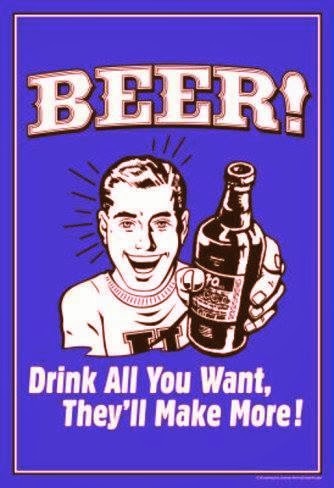 Readers may order bottles of the beer online at: https://tinyurl.com/ya2e3e9d. Pick-up locations have been arranged in several communities. 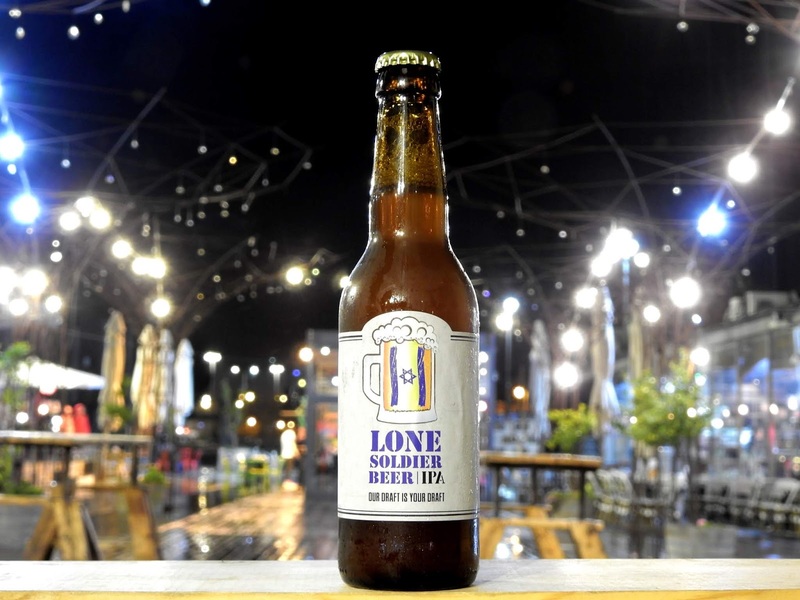 The profits from all sales of the beer will go towards maintaining and improving the facilities of the Beit Shemesh Lone Soldiers' Home, and moving ahead with plans to create a similar home for religious women lone soldiers. "We try to make it as close to a real home as possible," says Stu Schrader. "We have cable TV, computers and Wi-Fi, modern furnishings and a laundry room within the house. Everything is under the supervision of a married couple who both served in the IDF. They live in an adjoining apartment and are paid as counselors. They are supported by a team of eager volunteers from the community. We accompany our soldiers to army ceremonies and take them to and from the train station. We really make them feel a part of our family." Founded in 2015 by a community committee, the Beit Shemesh Lone Soldiers' Home was originally assisted by the Lone Soldier Center in Jerusalem named in memory of Michael Levin, an American-born lone soldier who was killed in the Second Lebanon War. It is now an independent non-profit organization, partially supported by public donations. The Lone Soldier Beer project will certainly help this effort. Although the Lone Soldiers' Home wasn't built by beer, it may very well have the privilege of being the first Israeli institution sustained by beer. The first 750-milliliter bottles of Malka Beer have recently appeared on the market. 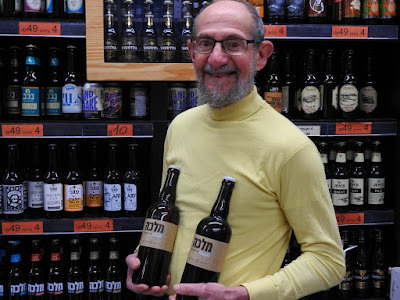 Until now, the only Israeli craft beers available in these big bottles (25.4 ounces or almost a "Fifth" of a gallon) were cork-topped Bazelet from the Golan Brewery. "The beer is about 10% cheaper when you buy our 750 ml bottles," says Assaf Lavi, partner and brewer of the Malka Brewery in Tefen. (Malka means "queen" in Hebrew.) "Right now, the only style available in these bottles is our Blond Ale, but our other three styles should be on the shelves in about a month." new Malka Brewery in Tefen. In addition to giving you more brew for your buck, Assaf says that the bigger bottles now make Malka Beer more suitable as a gift. "Instead of bringing your hosts a bottle of wine, you now have the option of giving them the same size bottle of great Israeli craft beer."